Dragonball is the most popular anime in the history of anime. In America it was almost everyone’s introduction into anime and the show opened up the flood gates for anime in America. I would watch Dragonball Z on Channel 11 every Sunday morning and it would never go past the episode where Goku beat Recoome and fight the rest of The Ginyu Force. It would just start over with Raditz and I’ll watch all the episodes over again every Sunday. Years go on and in hindsight I can pinpoint the moment Dragonball Z died. The Namek Saga was the last true good saga in Dragonball Z. The fights. The motivations of all the characters. The different villains. It was the most complete saga. The Androids saga was good too I think the Red Ribbon Army and Dr.Gero should’ve been covered more than they were in that saga but The Cell Saga was where Dragonball officially died. I’m not a huge fan of The Cell saga. Cell is not really a good villain but that’s not the reason why Dragonball died. The reason Dragonball died in the Cell saga was because we saw the death of Gohan. He didn’t die physically. We just saw the death of the character in terms of growth. Gohan peaked at Cell saga. Let’s go back to the beginning. Gohan was the soul of DBZ because he was the one character among the fighters who’s approach to fighting was the complete opposite. His father Goku is a straight up fighter. Vegeta is a straight up warrior. Piccolo is a straight up gangsta. Gohan wasn’t built like that. He’s not a true blue fighter. He was a shy, timid, gifted child with extraordinary power. He was never the type to jump into the fire. He was the type that would showcase his gift when his back was against the wall and there weren’t any options. His whole personality was passive. Gohan’s mentality was the missing link to the show because without him from The Saiyan saga to the end of the Cell Saga you just have what Dragonball Super is now which is the Goku and Vegeta show with no balance. Gohan brought an element to the anime that gave it actual meaning. It wasn’t just fights. Dragonball Z was about Gohan. When we see Gohan as a small child he’s scared and he doesn’t have the makings of a fighter despite his father being the greatest fighter in the world. That alone makes him so interesting and fit perfectly in to the Dragonball Universe. Enemies never expected him to have this power inside of him and what’s funnier is that Gohan didn’t expect it either so starting out Gohan is this fish out of water trying to figure out how to survive in a world full of warriors. Every time Gohan fought he was at a disadvantage combat wise. He was the underdog and always the smallest person out on the battlefield. As a child you seen a piece of yourself in Gohan. Every fight. Every tribulation in Gohan’s life lead up to his fight with Cell. He became that warrior that everybody believed he had the potential of being. When he defeated Cell there was really no other place for Gohan to go. The scared, timid, reluctant to fight character died in that arc. It didn’t make sense for Gohan to go back to being that scared kid. The only thing left to do was hand over the series to Gohan and take a different approach for the writing of his character. Having Gohan learn how to be the protector of Earth would’ve been a great path to travel down. 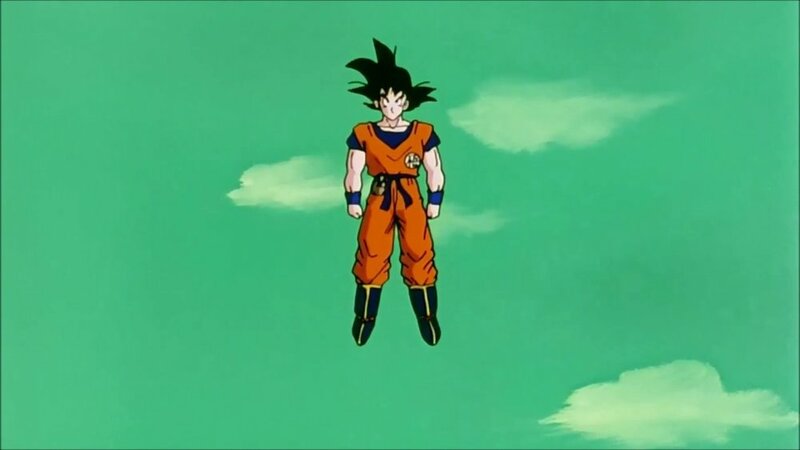 And showing the audience the cons of being the protector of Earth and the son of the legendary Goku. Instead we see him get completely washed in The Majin Buu saga and regress as a character and after that moment there was a domino effect and all the supporting characters became useless. When the original Gohan we grew up with defeated Cell, Dragonball Z died that moment. The series needed to be handed over to Gohan in the Buu saga and it didn’t happen and the series hasn’t been the same since. Gohan became a joke and so did the series. Can’t tell you how sad it is praying that Gohan makes a comeback. It’s like watching Ken Griffey Jr past his prime. You’re just praying that the old Griffey with the backwards hat, beautiful swing and swag comes back but he doesn’t. You just see him injure his hamstring again and you watch a man who’s a shell of what he once was. Seeing Gohan fight against bottom tier fighters and seeing them keep up with him made me sick to my stomach. Gohan finally overcame the struggles and shortcomings he had as a child and Toriyama just had nothing to write about anymore and it shows. The fact Gohan is still in the series is pointless. Everybody not named Goku, Vegeta, or Broly has no place in the series anymore and that’s why it suffers. We even seen a character with promise like Trunks have one great moment and just catch L’s ever since he sliced up Frieza. His saga was the best saga in Super by far and Gohan part in that saga was admirable but he and Trunks were getting hoe’d in that saga too. It was a decent saga but Trunks should be way more beastly than he’s portrayed and Gohan deserves better.